“Jurassic World: Fallen Kingdom,” the sequel to the 2015 blockbuster, brought in an estimated $150 million during its opening weekend in North America. The big weekend adds to the film’s worldwide haul of $711.5 million since opening overseas earlier this month. “Fallen Kingdom” exceeded Universal’s expectations, but the sequel was no where near as big as its predecessor. 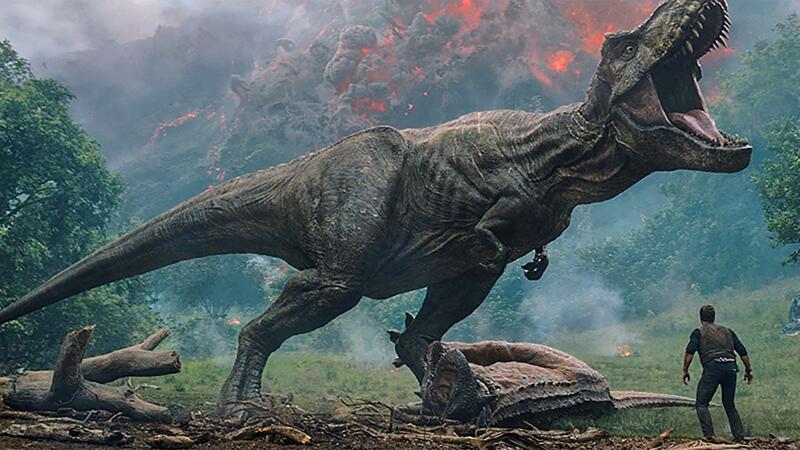 The 2015 original, which brought the “Jurassic Park” franchise back after 14 years, made $208 million for its opening weekend before going on to become one of the highest-grossing films of all time. The “Jurassic Park” franchise has so far made more than $4.4 billion at the worldwide box office for Universal Pictures, which is owned by Comcast. “Incredibles 2” followed up its record-breaking opening with a strong second weekend, bringing in an estimated $80.9 million. The animated film about a family of superheroes balancing parenthood and fighting crime, has so far made $485 million worldwide. The 2018 domestic box office continues to surge. The domestic box office is up 8.5% from last year, according to figures from comScore. July has more potential hits on the schedule with Marvel’s “Ant-Man and the Wasp” and Paramount’s “Mission: Impossible – Fallout” hitting theaters next month.